This is one of our favourite weddings, where the bride did not want a sombre marquee that others want. She wanted something with more fabric, so our team got to work to create something spectacular, as requested by the bride. 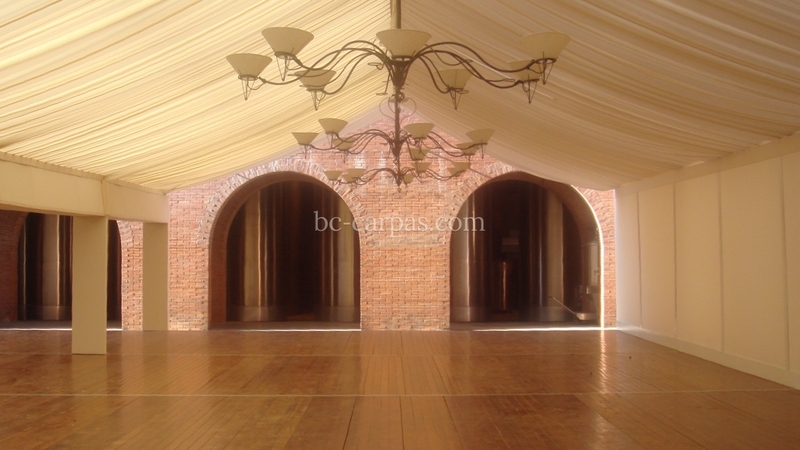 To do so, we pleated the roof and a lot of tulle, creating a space just like the bride wanted. For the lighting, a light designed for the occasion was chosen and full of green ivy, accompanied by many candles and high centrepieces. The wedding was such a success that it was featured in Telva magazine. 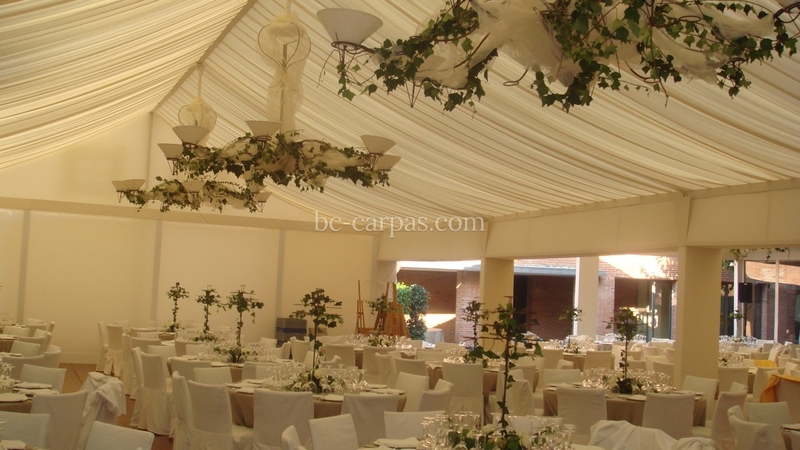 Photo of a detail of the roof and wall of the marquee installed for this very special wedding. Hours before the wedding banquet starts. 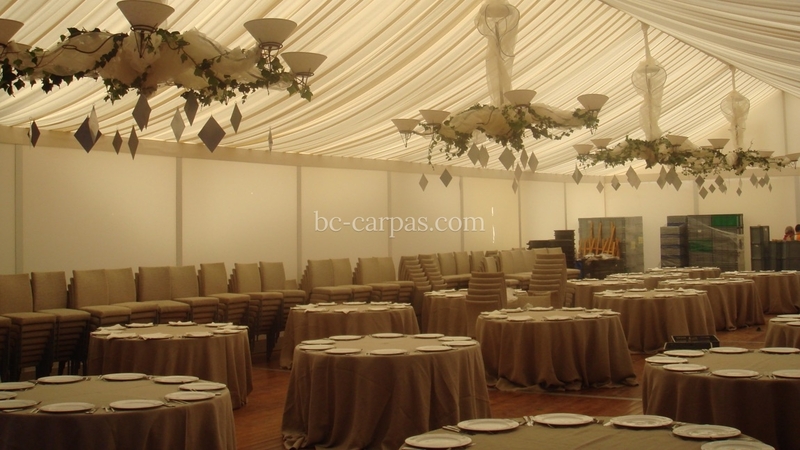 The marquees were decorated with tables and tablcloths. 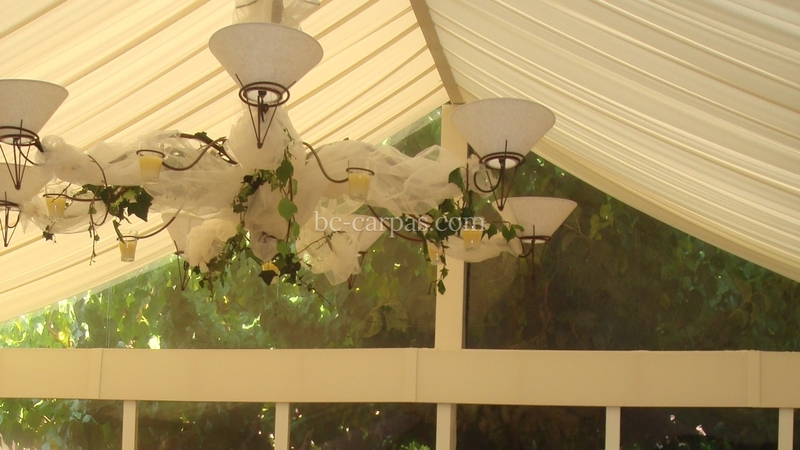 Photo of the lamp that was installed for this wedding, in addition to the roof that was installed, which is pleated at the request of the bride and groom. 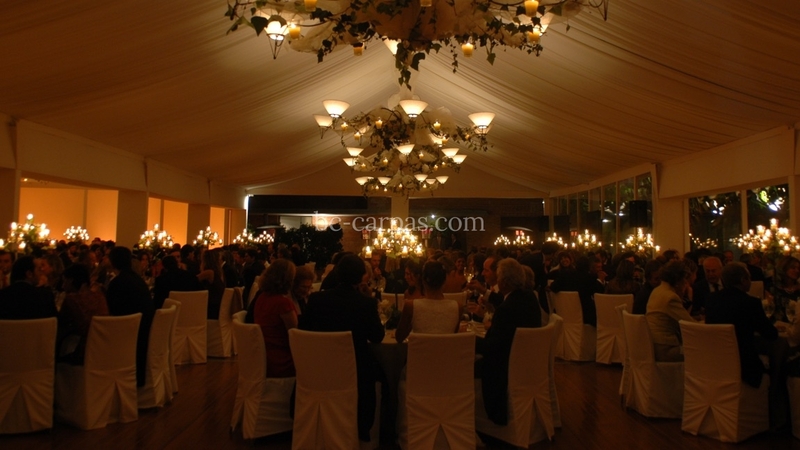 Photo of the banquet hall, which was one of our marquees that was entirely decorated with light colours. 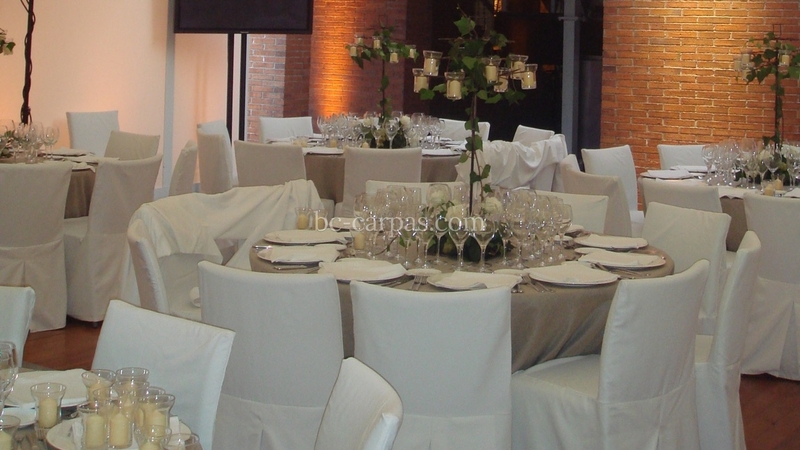 Photo of the tables with tablecloths for the wedding, the centrepiece and the chairs with their covers. 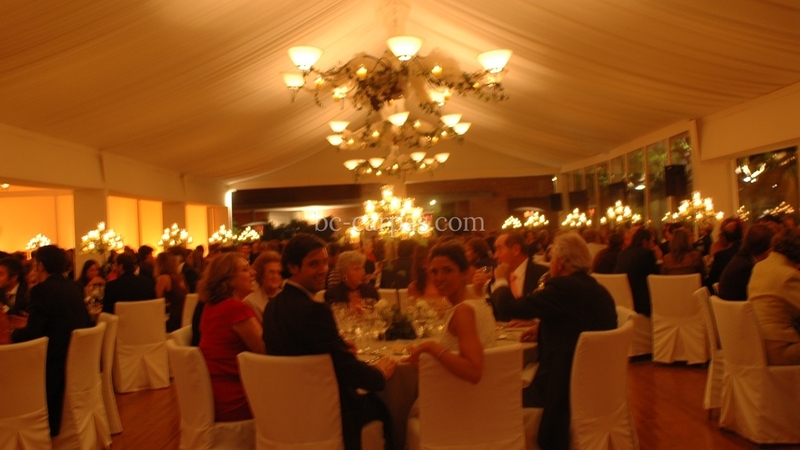 Photo of the wedding at night with the guests seated at the tables and the candles lit. Photo of the smiling bride and groom with their families. 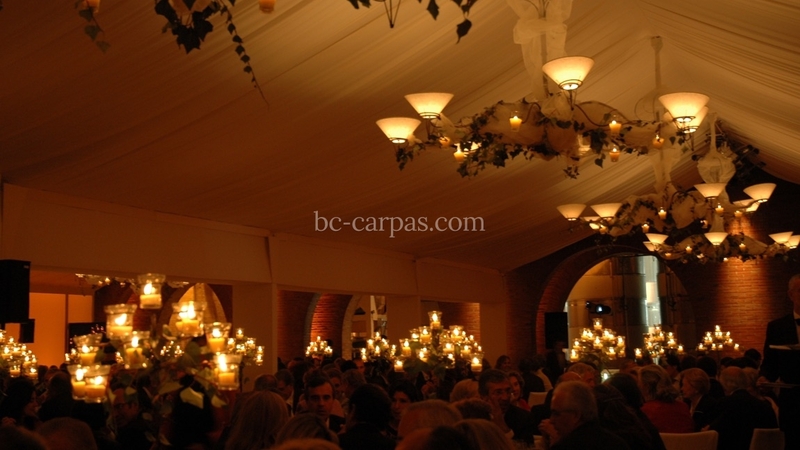 Inside the wedding marquee at night. 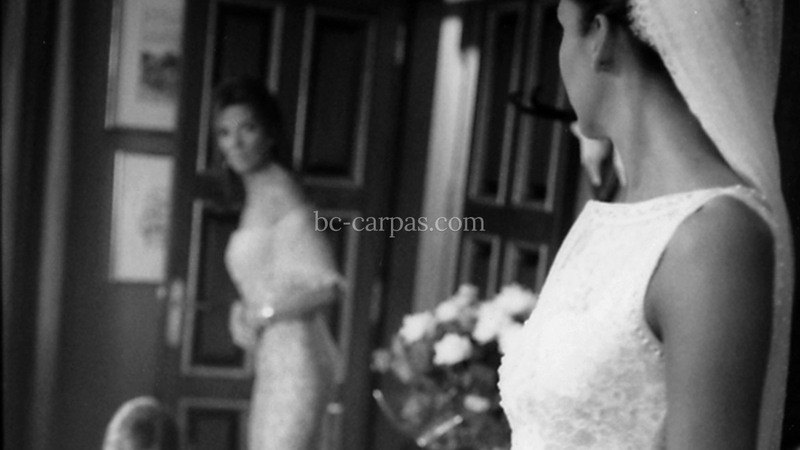 In the foreground, the bride in her white dress, and in the background the mother of the bride. The bride and groom leaving the church with all the guests waiting for them. 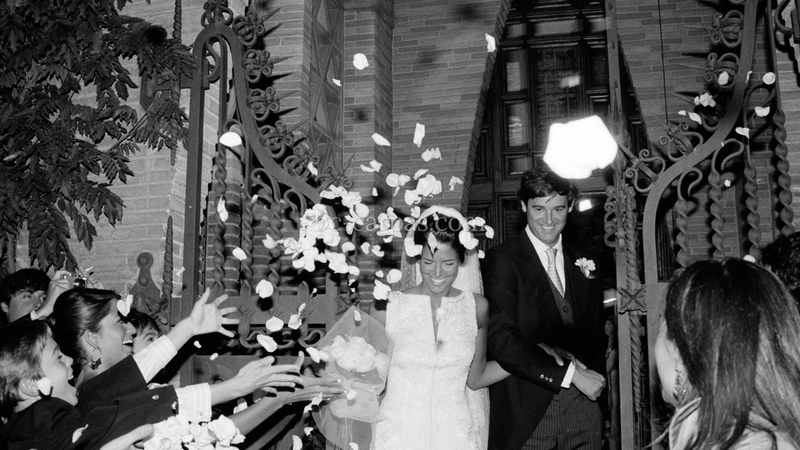 Outside, all the guests throw petals to celebrate.